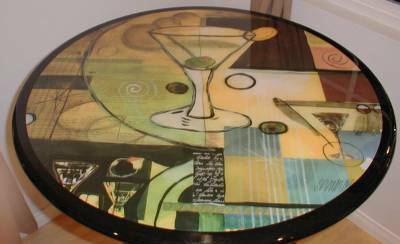 Martini Laminated Art Table Top. Martini laminated art table top. Available in all sizes or as hanging wall art.